Sometimes you need a short and useful activity which you could use in class. For a long time I could not find anything interesting. And then I encountered Pope Francis’ tweets and I tried to convert them into a teaching material. 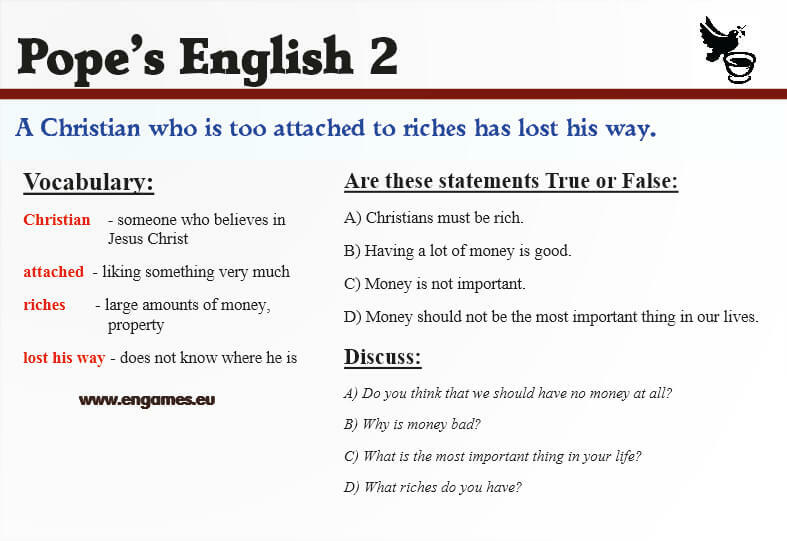 In this post there is a small worksheet with the quote, a reading comprehension and several discussion questions. Moreover, there is a short video where you can drill the quote. I hope you will find the material useful.